Cody Coughlin will get back behind the wheel of his No. 1 JEGS Toyota Camry Late Model when he competes in today’s Bud St. Amant Memorial at Columbus Motor Speedway. 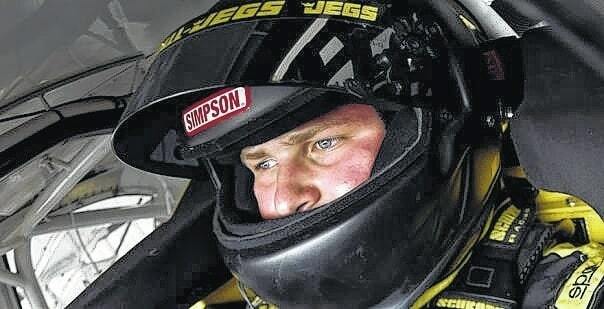 Homecoming is typically held in October at high schools and colleges all over the country, but for Cody Coughlin it’s today as he gets to race in front of family, friends and his hometown fans in the Bud St. Amant Memorial at Columbus Motor Speedway just a few miles from where he lives in Delaware. The 19-year-old driver hopes to pilot his yellow No. 1 JEGS Toyota Camry Late Model to a win at Columbus Motor Speedway in the prestigious ARCA/CRA Super Series race. Coughlin has run well at Columbus in the past. He finished second in his only start at the 1/3-mile oval in 2014. Coughlin has finished in the top five on two other occasions at Columbus throughout his racing career. Winning a race at Columbus would rank near the top of Coughlin’s list of accomplishments. He’s won on the famed high banks of Winchester; he’s won the CRA/JEGS All Stars Tour championship, but there would be nothing like winning at his home race track in front of family and friends. The Columbus race will be the first time that Coughlin is behind the wheel of his Super Late Model since mid-May when he finished fifth at Berlin Raceway. Coughlin, a Joe Gibbs Racing development driver, has been focusing much of his time recently to running with Venturini Motorsports in the ARCA Racing Series where he has scored two poles and a second-place finish. Race-day festivities kick off with practice at 3 p.m., with qualifying taking place at 6:15 p.m. and racing to follow soon thereafter. Bob Dillner and Teamjegs.com contributed to this report.